Airport Equipment PCA powered duct reels are designed to handle up to 25 metres of industry standard 14” insulated lay flat aircraft air-conditioning ducting. 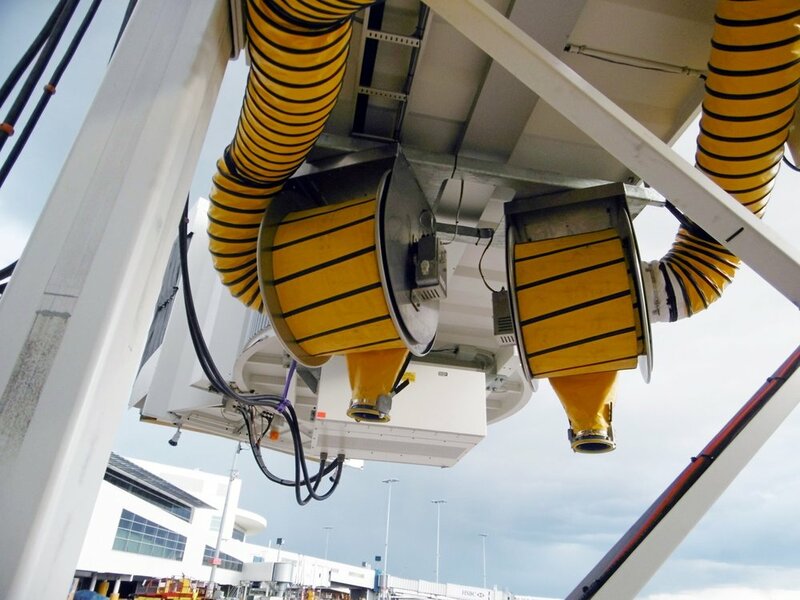 The automatic reel system provides operators with a system to efficiently deliver and connect pre-conditioned air services to aircraft as well as protecting duct and couplings from ramp damage. 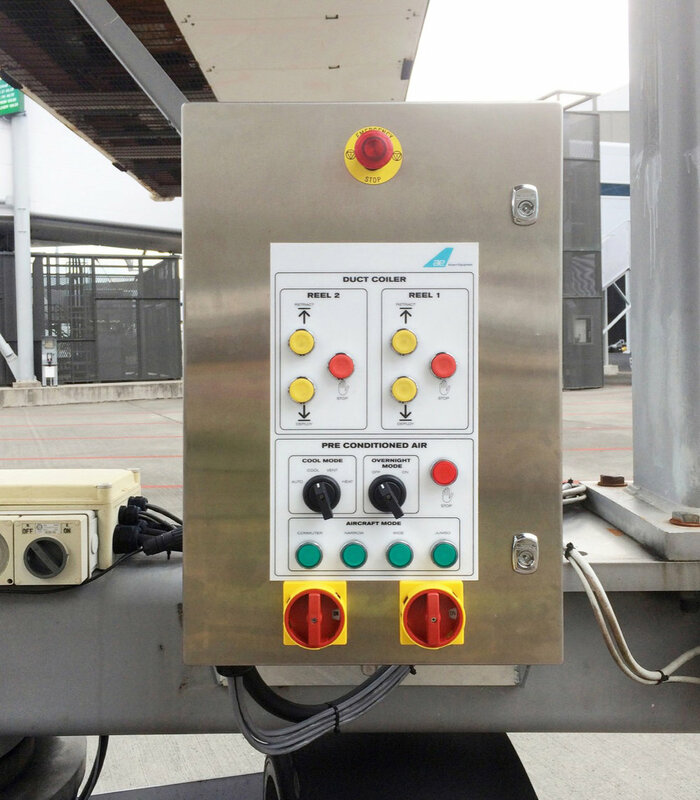 When installed off the aerobridge structure the reels are kept away from the apron area – increasing space for ground support equipment and improving ramp safety. Stainless steel and aluminium construction provides optimal durability and reduced maintenance costs.